Dodgy data on the gender pay gap has inspired alarmist headlines and some rather archaic opinions, argues Gill Matthewson. Salt mounds in Salar de Uyuni, Bolivia. Photo: Luca Galuzzi www.galuzzi.it . It’s that time of year again, when the results of The Architects Journal and the Architectural Review’s annual survey of women in architecture are published. Last year I was surprised (and appalled) that some of the information gathered in the survey was being used to demonstrate the gender pay gap in architecture. I maintained, and still maintain, that the AJ/AR survey is a woefully weak source of data on this matter. Numerical data carries an authority. But to be worthy of that authority, it needs to be comprehensive and complete. The data from the AJ/AR women in architecture survey is not that. It is simply poor practice to take some information from 1,277 women and just 340 men and represent that as evidence of anything other than impressions and perceptions of what is happening for women. It is in no way a comprehensive survey. Actually, in the calculation of the AJ’s chart showing the alleged gender pay gap, it only includes the UK respondents to the survey, so the sample numbers are even less again. How many (or rather, how few) men and women generate that figure that shows male partners/principals earn an average £150,000, a whopping 58% more than female partner/principals? Small numbers in any sample generate alarming headlines but wild inaccuracies. They have also not followed the convention for determining the pay gap. But in this I might agree with them. One of the peculiarities of this convention is what is used as the norm. So, if I earn $80 and a guy earns $100, as far as I am concerned he earns 25% more than me (20 is a quarter of 80). But the conventional way of presenting that gap in earnings is for the male to be considered the norm (there’s a surprise). And so, because I earn $20 less than him, the pay gap is determined to be 20%. This statistical sleight of hand depresses the level of injustice. Now, there is most definitely a gender pay gap in architecture, which I detail here using data from more than 11,000 full-time architects over the age of 25 in the 2011 Australian Census (that’s a comprehensive sample size). It begins at 6% and increases with age, reaching 17% for architects aged 55 to 59. It flips for the next age group of 60 to 64 with women of that age on average earning a small 2% more than men. But that is simply because there are just 40 women of this age and more than 700 men – proof again that small sample sizes warp the numbers. And no one could or should use this statistical aberration to claim that older women architects earn more than men – it is simply not correct. In the generation of alarmist headlines (and this year’s ‘Women in Architecture survey reveals widening gender pay gap’ is little different to last year’s ‘Disbelief as gender pay gap widens at top level of practices‘ the AJ does a disservice to the cause of women in architecture because they are peddling stories based in clearly flawed data. Worse, in promoting their survey results as representative, the AJ/AR cast doubt on all assertions of inequity in the profession. In response to these headlines, Santiago Calatrava declared that women architects just need to ‘wait a second, you know, and it [pay equity] will change’. I don’t think so. These things do not change without conscious thought and action (using the Parlour Guides to Equitable Practice is a good way of starting that action) And we can only track pay equity by using metrics that really do show the extent of what is going on. Breaking news, women are not condiments, accessories to male lives providing flavour on the side. 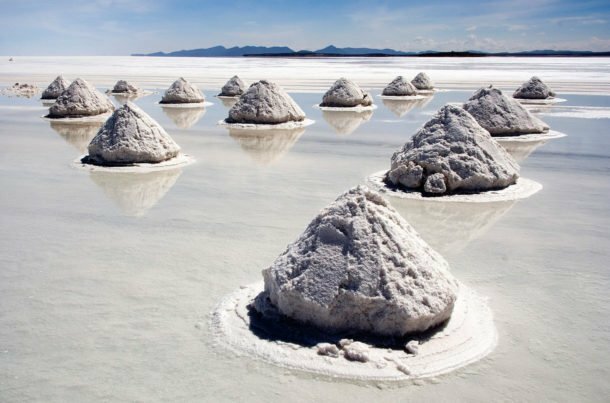 Calatrava also said that ‘women are the salt of our lives. They give it flavour.’ I can’t work out if he is being hilariously quaint or deliberately insulting – perhaps both. Either way, it’s disappointing. Breaking news, women are not condiments, accessories to male lives providing flavour on the side. Front and centre, we are architects and deserve to be paid the same as male architects. Previous postQueering Architecture: Framing the conversation Next postCongratulations Catherine Baudet!